Click here to customize your upcoming Loyalty Program shipment. 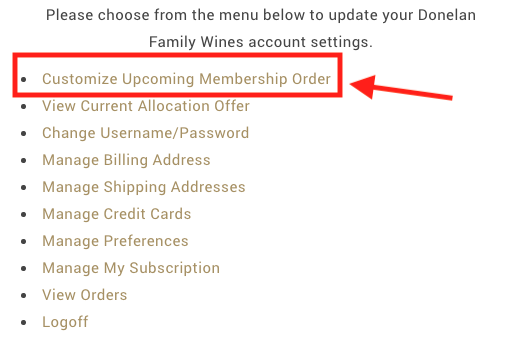 Or, click the “Customize Upcoming Membership Order” link on the My Account screen. Confirm your shipping address is correct. If it’s not, please update your shipping address here or call us at 707-591-0782 for assistance. 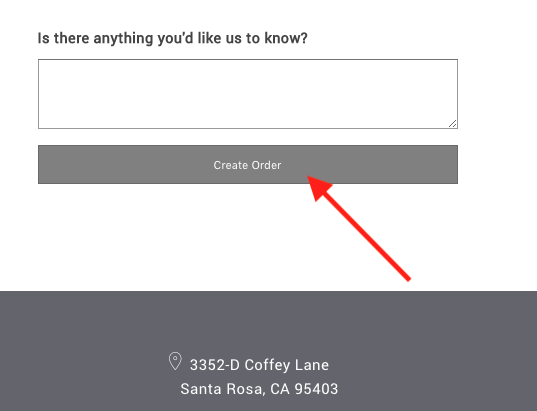 Click “Customize this Order” to begin modifying your shipment. The standard shipment is curated in the “Standard Items” section.You can change quantities on any item in the standard shipment. 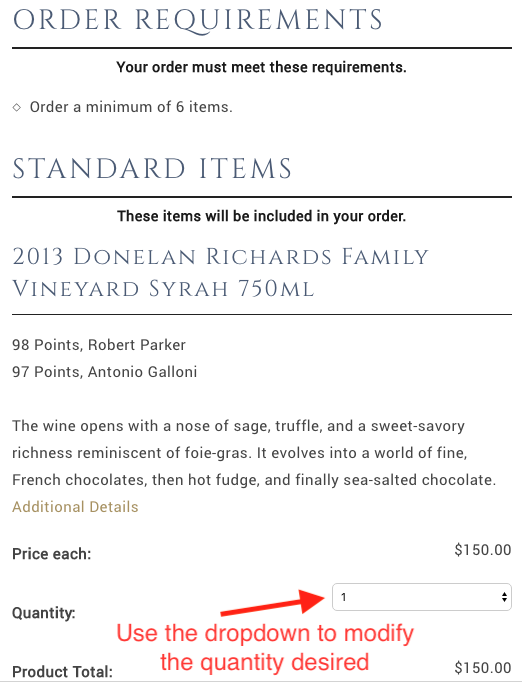 If you don’t want any of a particular wine, please set the quantity to 0. 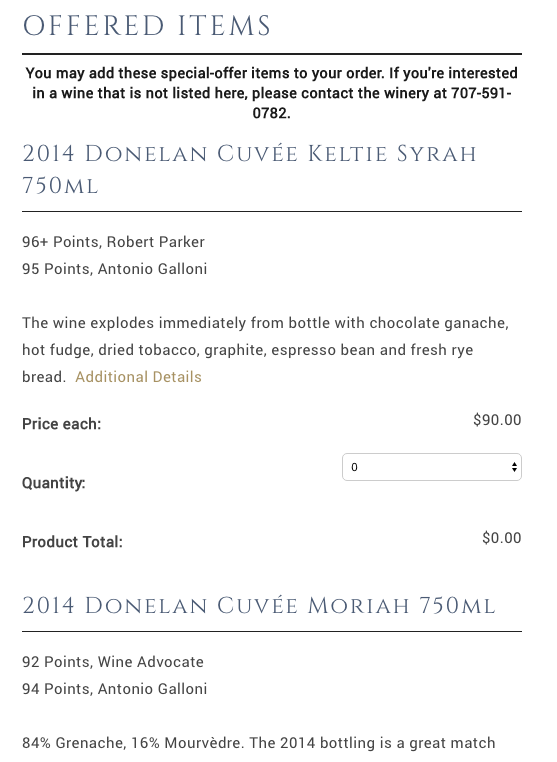 The only requirement for the shipment is that you select a minimum of 6 bottles from among everything that is offered. 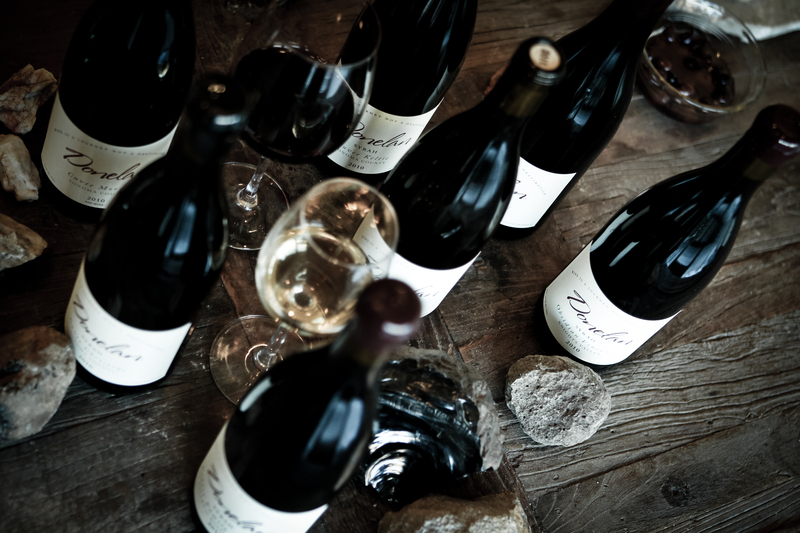 The “Offered Items” section has additional wines from our portfolio that are available to add to or swap in to your shipment. 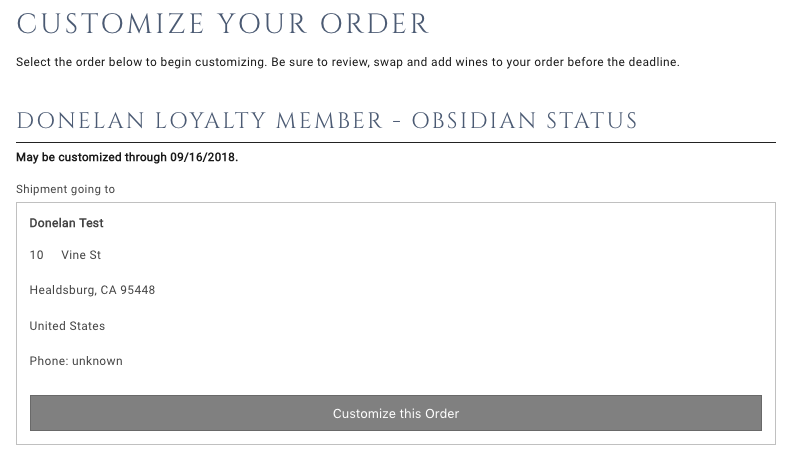 Scroll to the bottom and click “Review Order”.When you have selected the 6+ wines that you’d like in your club shipment, scroll to the bottom of the page and click the “Review Order” button. If there are any issues with your selection, you’ll be notified in the gray box above the button. 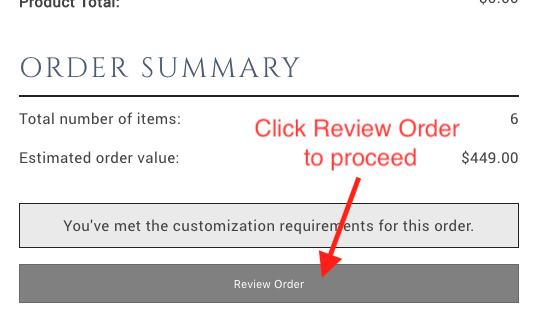 Review the order details and click “Create Order” at the bottom of the page to finalize. If you get stuck, call us at 707-591-0782! We’re here to help!